A familiar name is making its way to the Jeep Grand Cherokee lineup, with the brand announcing a Trailhawk version for the 2017 model year. Joining models by the same name in the Cherokee and Renegade lineups, the Jeep Grand Cherokee Trailhawk is the off-road boss you've been waiting for—and it will be available with a diesel engine. Running Jeep's Quadra-Drive II four-wheel drive system, the Grand Cherokee Trailhawk features an electronic limited-slip rear differential "for all powertrains," according to the brand, with a Fiat Chrysler Canada spokesperson confirming that the 3.0-litre V6 EcoDiesel engine will be available under the hood. Elsewhere, the Trailhawk boasts a unique version of the Grand Cherokee's Quadra-Lift air suspension developed specifically for the trim, hill ascent and descent control, and skid plates to protect the underbody. Finishing off the look outside are red tow hooks front and rear, while black leather and suede seats with red accent stitching adorn the interior. 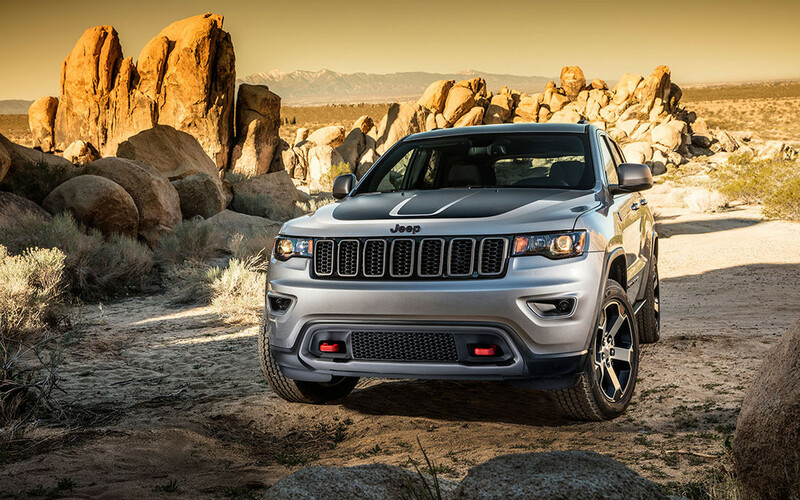 The Grand Cherokee Trailhawk will be available in red, silver, white, grey and black.